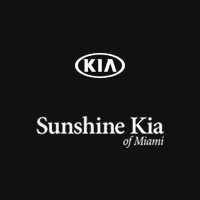 Kia Certified Pre-Owned vehicles provide their owners with assurance that they have purchased a quality used vehicle. Every Kia Certified Pre-Owned vehicle has undergone a vigorous 150-Point Quality Assurance Inspection and features a CARFAX Vehicle History Reports to provide additional peace of mind. And the benefits don’t stop once you drive off the lot. Every Kia Certified Pre-Owned Vehicle comes with a Kia Certified Pre-Owned Limited Powertrain Warranty, Roadside Assistance, as well as Travel Breakdown Coverage. Up to $35 per day for maximum of ten (10) days for car rental expense incurred due to a covered mechanical breakdown or manufacturer’s warranty repair. The Kia Care Service plan provides valuable prepaid maintenance services that help keep your vehicle running like new and qualified for your original Kia Manufacturer’s Warranty.